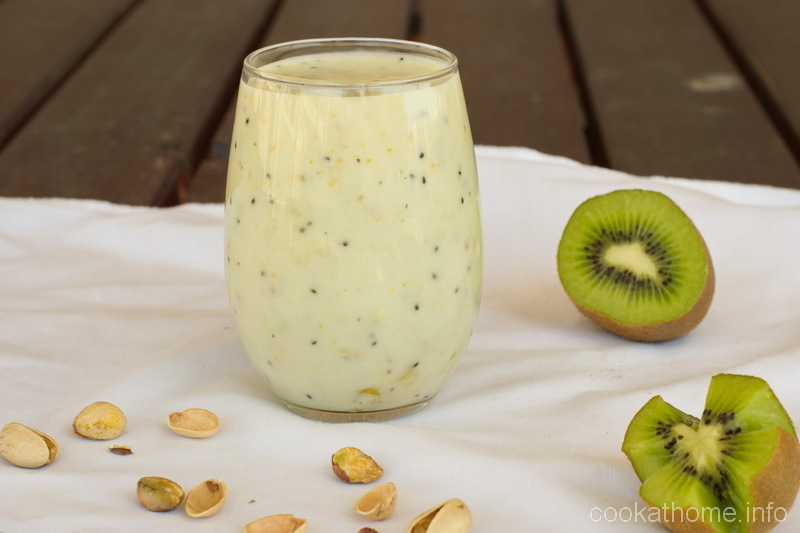 This kiwi pistachio smoothie is a unique combination of flavors, but so refreshing for those hot summer afternoons! By now you may have realized that I don’t really have that many smoothie recipes on this website. Except for this blueberry sweet potato smoothie and this apple cinnamon peanut butter smoothie, that’s about it! For the sheer fact that I really don’t drink them. But I do recognize that many of you love smoothies, so I am trying to give you another option to test out. 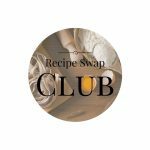 This month’s Recipe Swap I was paired with Sasmita at First Timer Cook blog. She’s got a whole range of recipes there so I highly recommend that you go and check her out! A lot of them look like they are Indian inspired, which I was really excited about, but wanted to give you all something that I could eat too (with my special snowflake stomach!). I thought about remaking her gingerbread biscotti … and actually tried to make it. But I think all of my Paleo substitutes made it into a serious baking fail. It tasted good, but it would have required a number of tries to get it to where I could recommend it for you all to try. 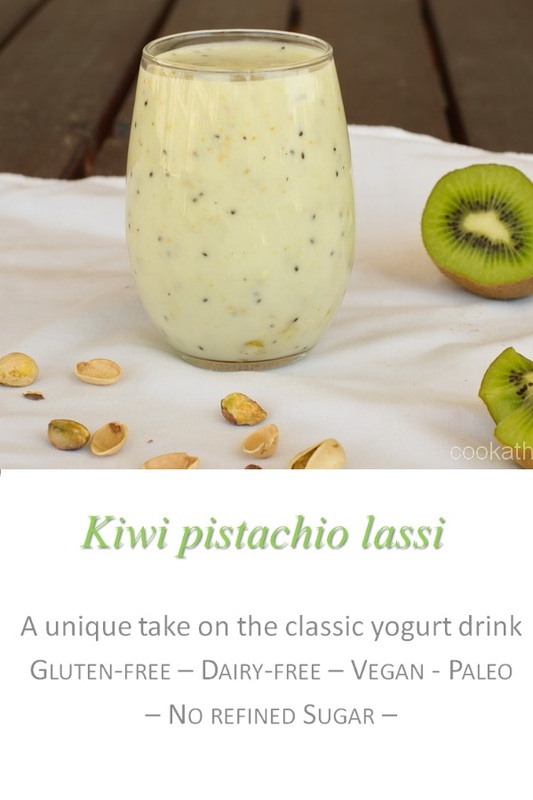 And then I found this kiwi pistachio lassi, or a kiwi pistachio yogurt smoothie. It’s so simple, and I’m guessing you can almost guess the ingredients in it. Yep – kiwi fruit, pistachios, yogurt and a little bit of honey. And a few ice cubes. And that’s it. 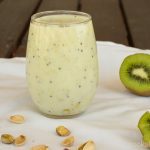 I loved the unique flavor of this drink – and actually put some chia seeds in the second portion of it to have for breakfast the next morning (see, I’m really not a smoothie person, but I do love the concept of the ingredients!) and I think you will too! Combine all ingredients except the ice cubes in a blender until a puree forms. Add the ice cubes and blend for about 30 seconds, or until desired consistency is achieved. Absolutely new combination for me. I’m going to give it a try since I love pistachios! Awesome – let me know what you think!